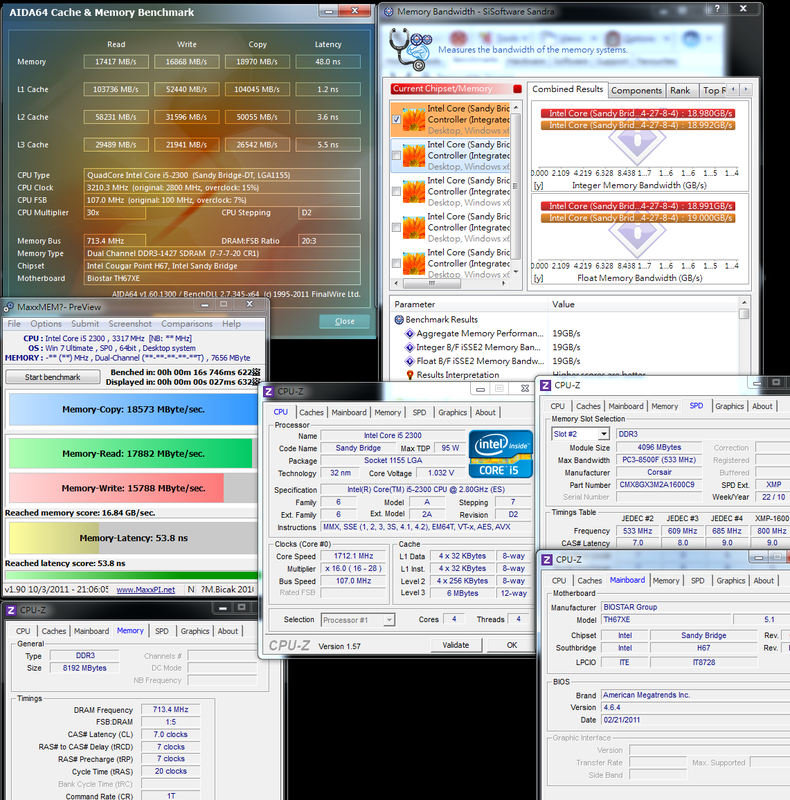 In the beginning of 2011, Intel released its latest platform with LGA 1155 version, also known as Sandy Bridge architecture. 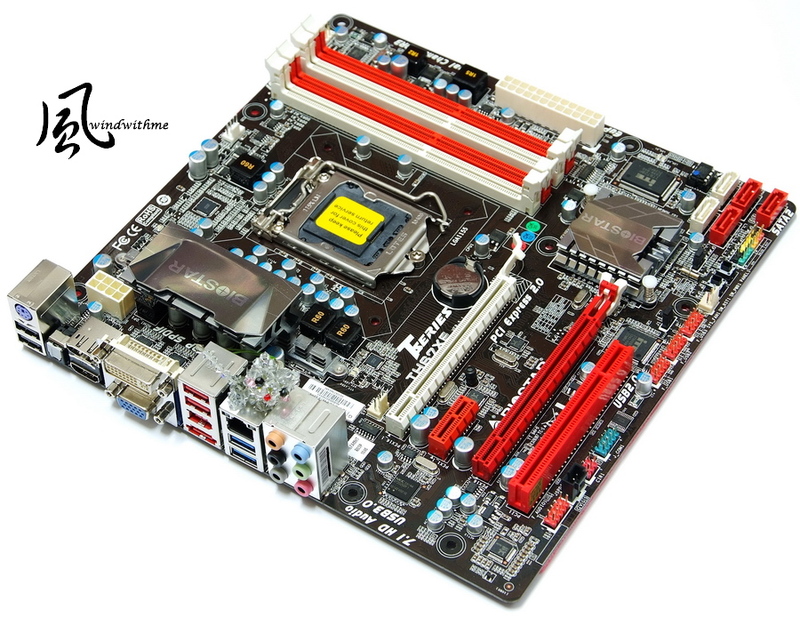 The release modes of its processor and chipset products are much similar to the last generation of LGA 1156. What’s more, Sandy Bridge’s process technology has been improved comprehensively up to 32nm, and its efficiencies have also been enhanced in many aspects. 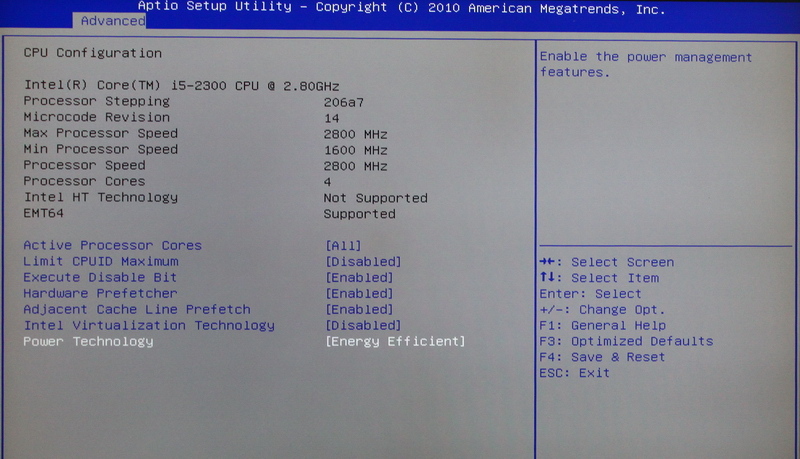 Each CPU carries a built-in HD2000 or HD3000, which is another feature of the new platform. 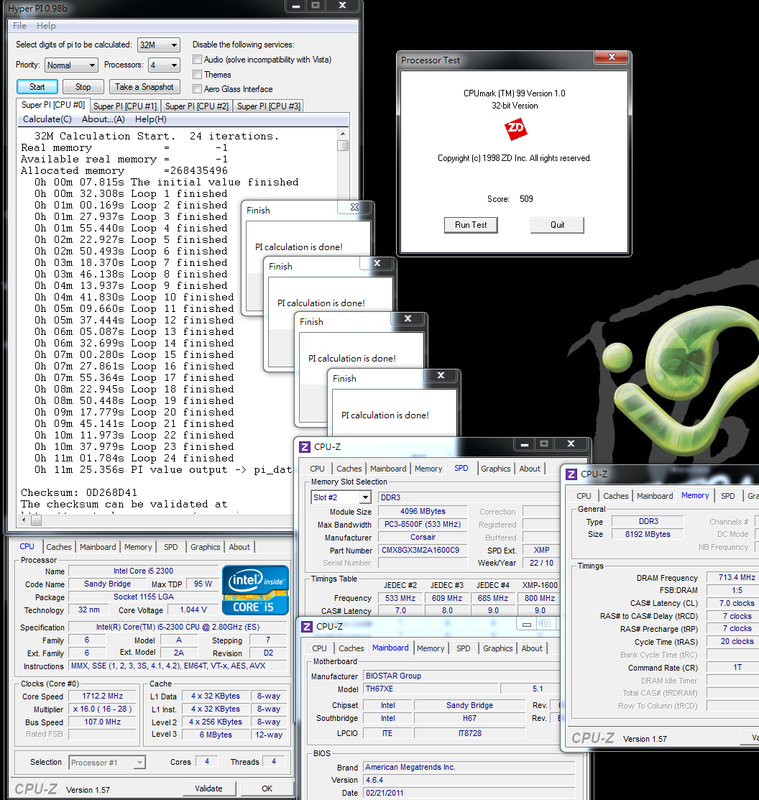 It is the first wave to release several 4Cores 32nm versions for CPUs; the series name is Core i5/Core i7. Chipsets with built-in display and output function include H67/H61 types, and the major difference lies in the specification and ability to support Riad. H67 is an advanced chipset that was released in the beginning of January this year, but the H61 entry level positioning will be made available after March. Currently, the leading CPU is 2300, a version with the lowest price of Core i5. It supports the latest generation of Turbo Boost 2.0 technology and can reach a performance of up to 3.1GHz. 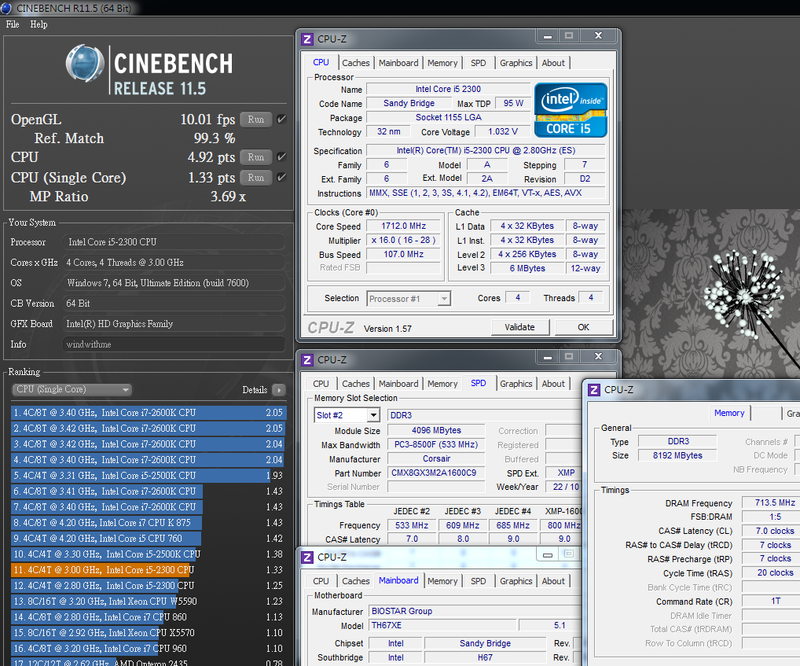 It has 4 Cores but does not adopt the Hyper-Threading technology. 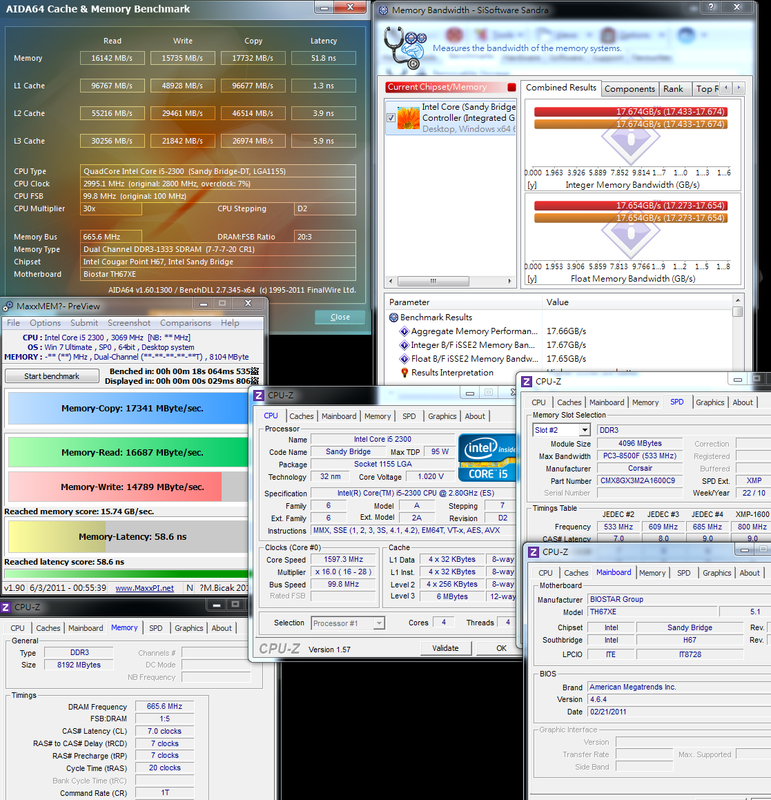 It can reach a maximum of 4 threads, which is called 4C/4T. 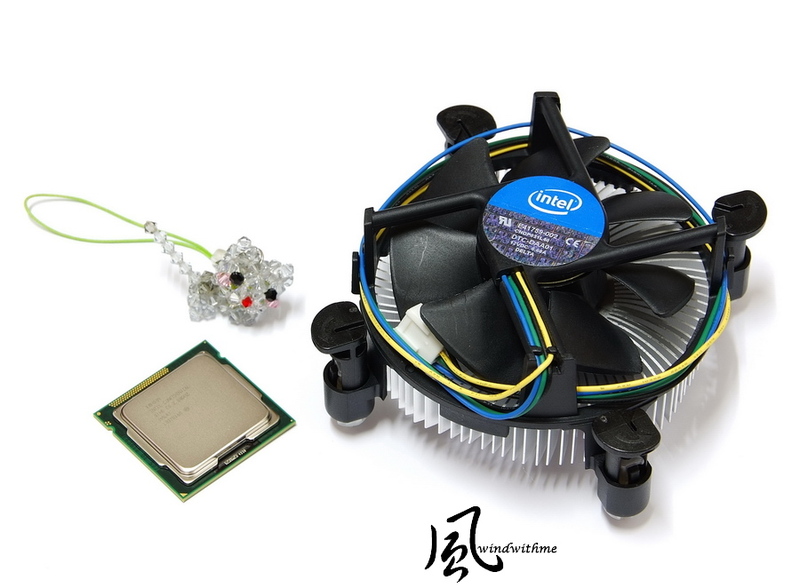 It has a 32nm process and power consumption of 95W, as well as a L3 Cache of 6MB, and easy-to-use 4Cores CPU in LGA 1155 products. Intel 4Cores CPU integrates with the copper heat sink which has its bottom attached to some solid thermal conductive adhesive. I personally suggest coating some thermal grease onto the CPU before installing it because this can reduce the temperature efficiently. MB adopts BIOSTAR TH67XE, its XE series is a high-level product line and its price isn’t as high as that of other brands. The price of this product in the U.S. is about US$105, which is equivalent to around NT$3,100. 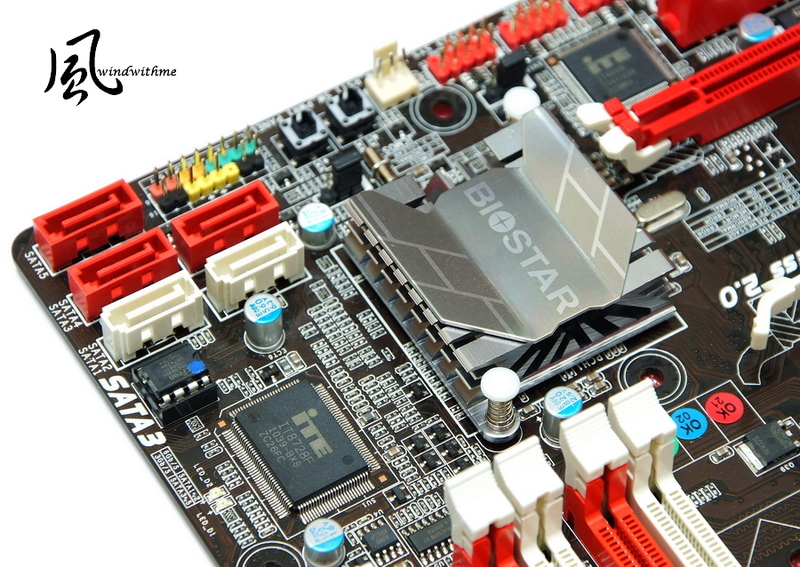 Compared to other H67 products in Taiwan which cost NT$4,000~5,000 or higher, the price of BIOSTAR H67 is much reasonable. 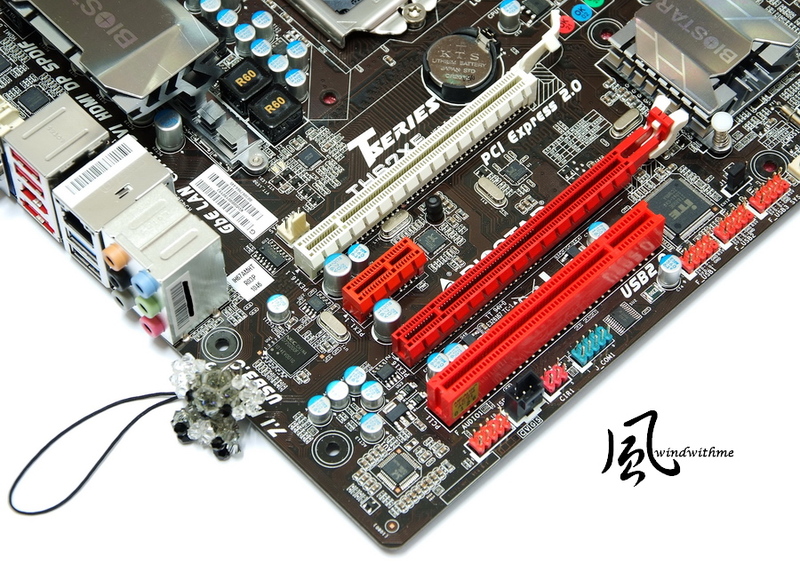 In terms of color, the black PCB is common while other PCI-E or DIMMs have red and white colors. These are much more conspicuous than the previous yellow or green colors. Realtek ALC892 audio chip supports 8+2 sound channels and Blu-Ray Codec technology. The power pack is covered with heat sinks. Both the appearance and the texture are quite good; the design of the radiating area is also considered. 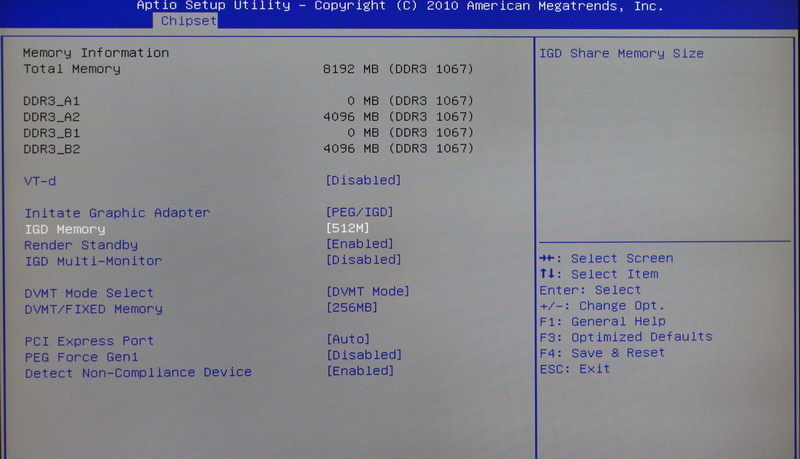 IGD Memory can select the capacity of the shared main storgae that is required by the built-in GPU. 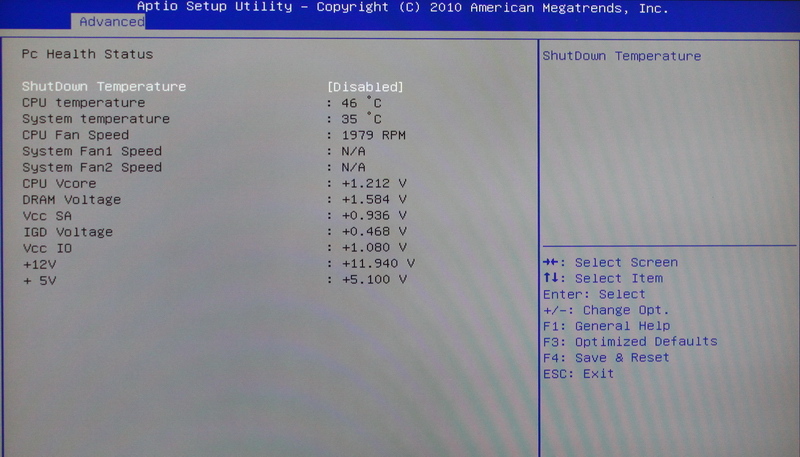 Above is the BIOS settings of windwithme in the BIOSTAR TH67XE overclocking. 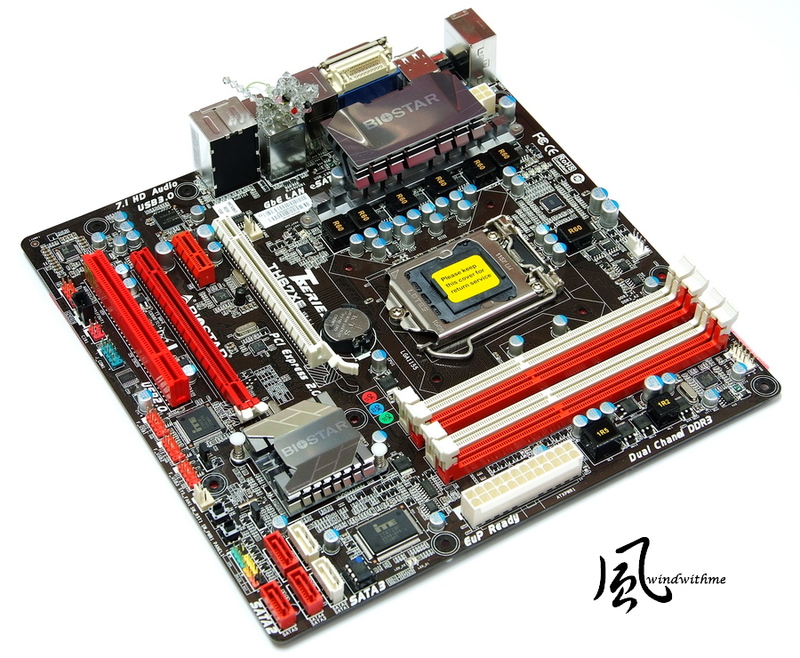 H67 chipset is characterized by All In One positioning, thus overclocking only requires CPU external frequency/GPU frequency/DDR3 frequency. 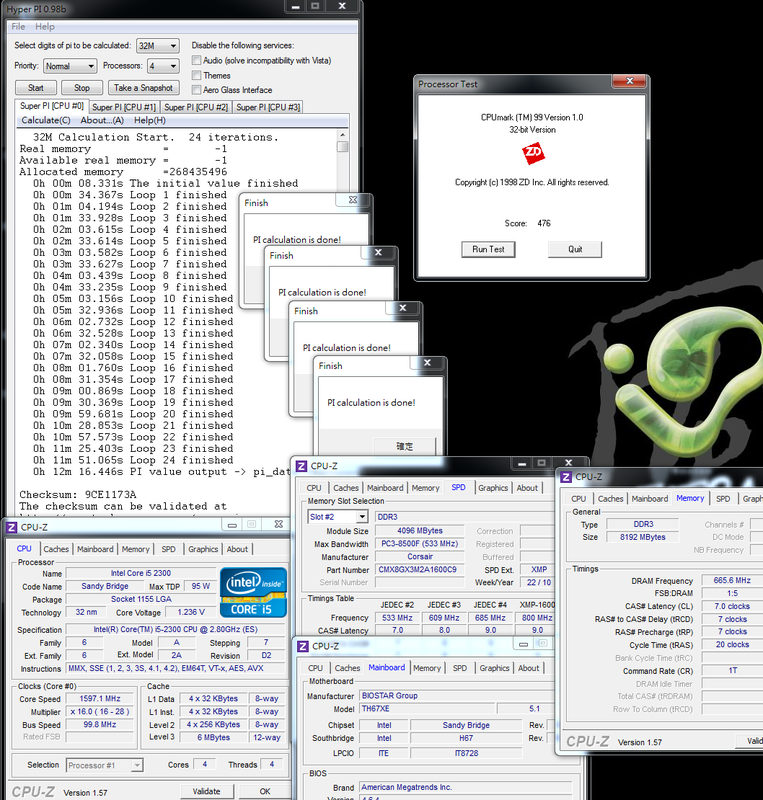 Core i5-2300 is a version of Sandy Bridge 4Cores CPU with the lowest frequency and poorest specification. it has earned a good performance score in the software testing. 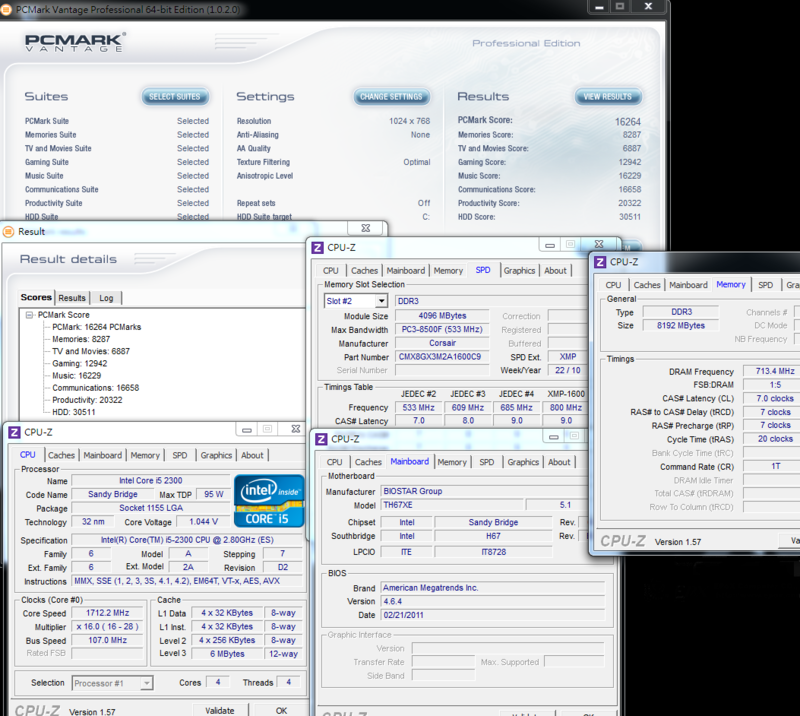 With a default value of 2.8GHz, plus a Turbo Boost 2.0 frequency that can reach up to 3.1GHz, it has many applications. At full speed, the temperature is even a little lower than the previous temperature as the 2500K original radiator is tested. 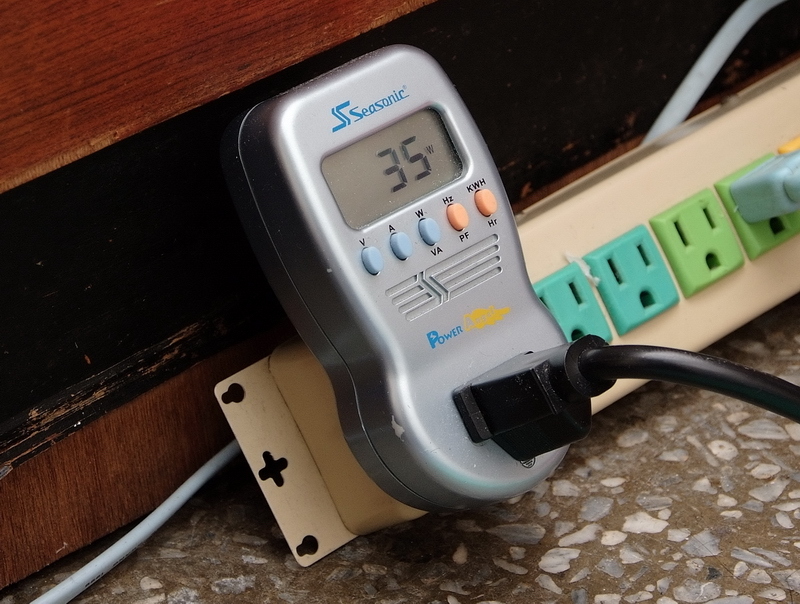 The 5~10 ℃ difference might be caused by the high or low frequency. 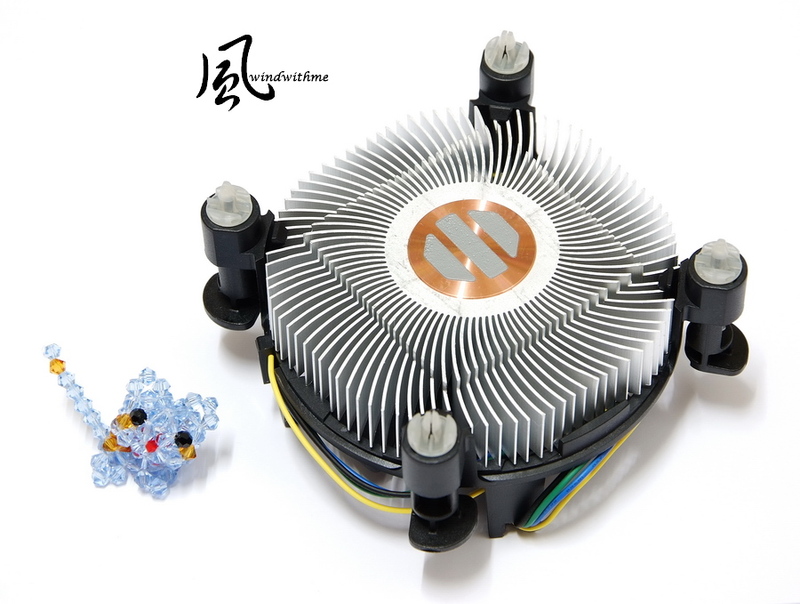 For better temperature performance, there is a need to spend more money for a replacement with a higher level CPU radiator. The power consumption performance is also one of the characteristics of Sandy Bridge after it changes its 4Cores CPU process into 32nm. power consumption can be reduced more effectively and the CPU’s power consumption at standby and full speed modes is greatly reduced compared to the previous 45nm CPU. 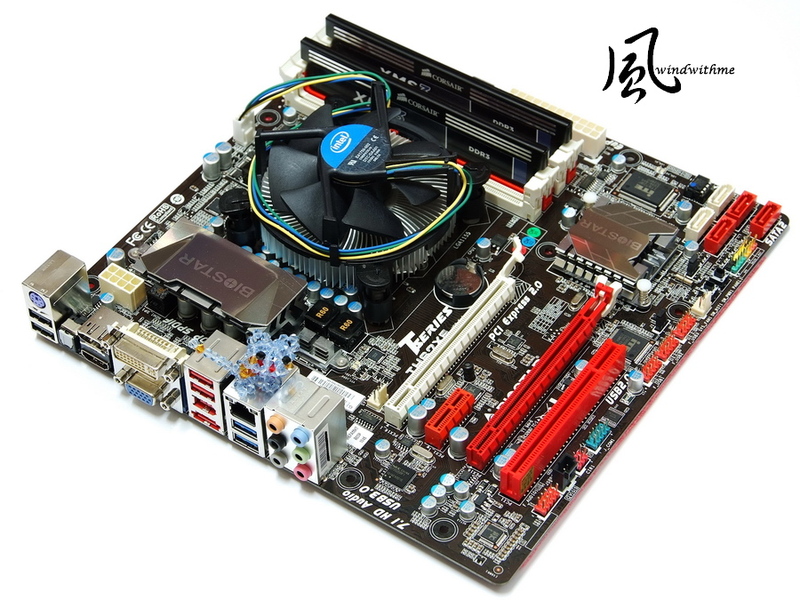 The built-in CPU of previous LGA 1156 Core i3/i5 integrated with H55, may not be able to run the DDR3 bandwidth. 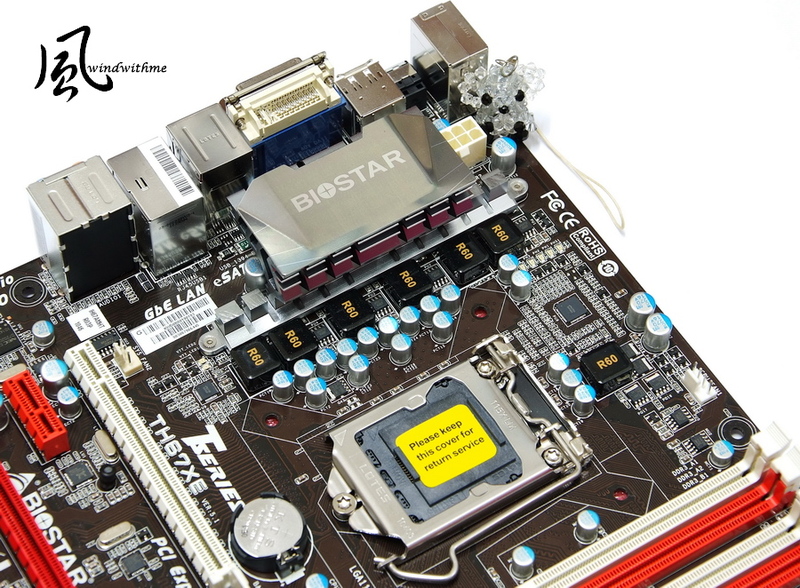 However, the new generation LGA 1155 may have addressed this problem with its built-in CPU that begins to retain the architecture performance. 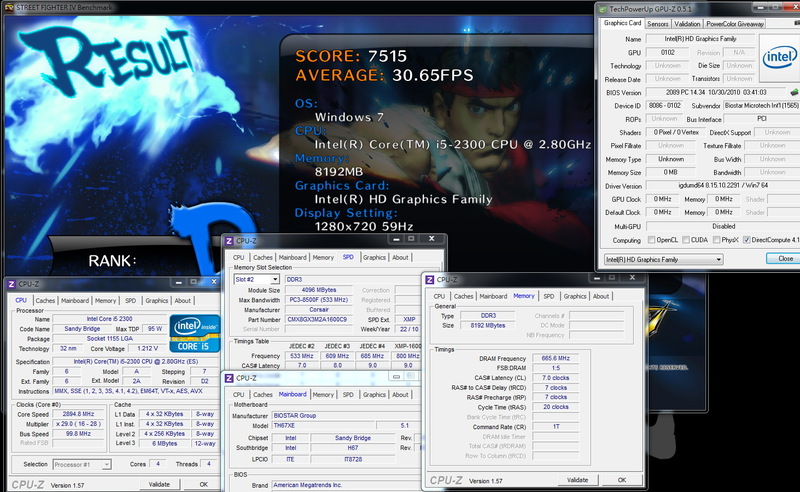 With regard to the Core i platform of Intel built-in GPU, its DRAM bandwidth performance is no longer as good as that of Core 2 Duo. 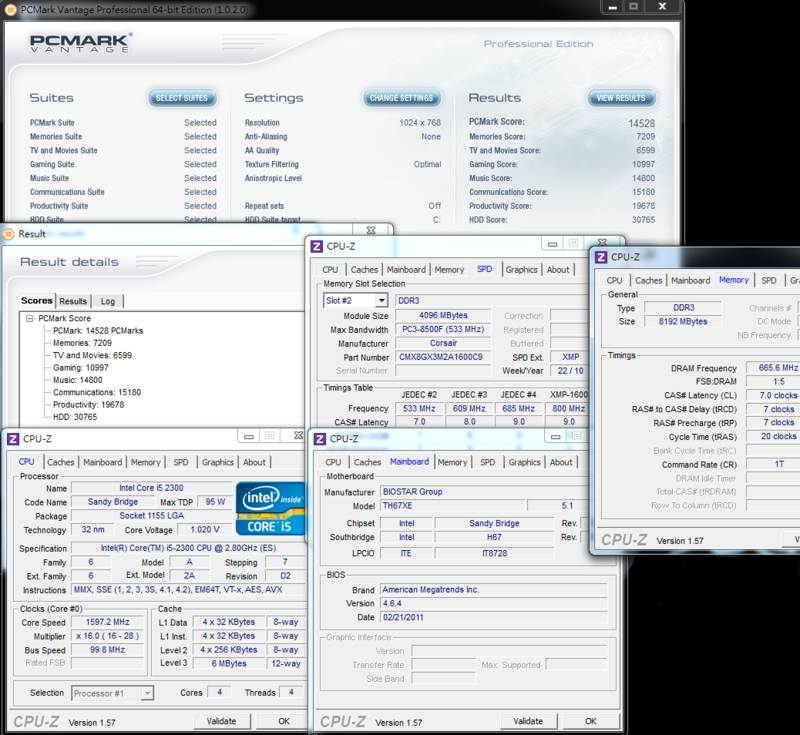 There is an improvement of over 50% in the bandwidth of DDR3 1333. 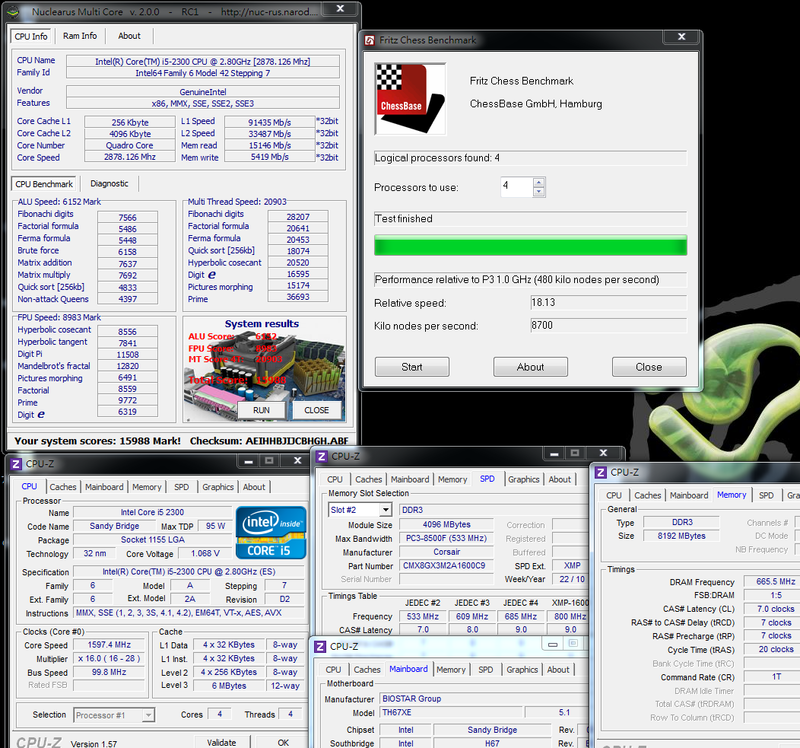 There are more limitations for Sandy Bridge in CPU overclocking than ever before. 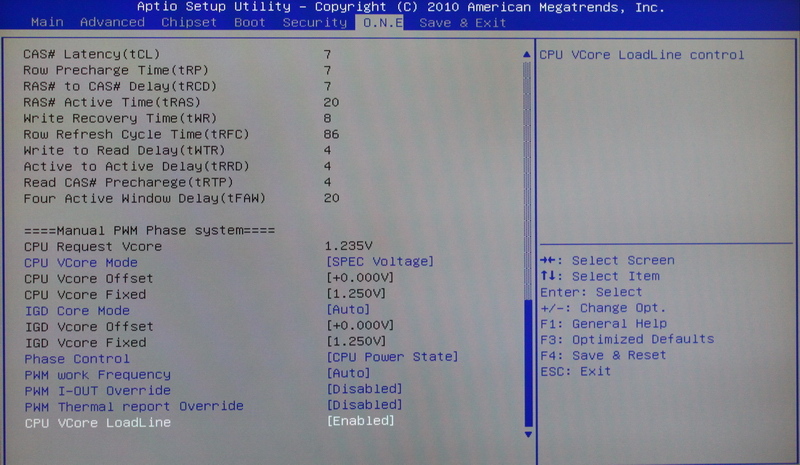 If only the CPU external frequency is adjusted, then the CPU can operate stably within a range of 104~107MHz. 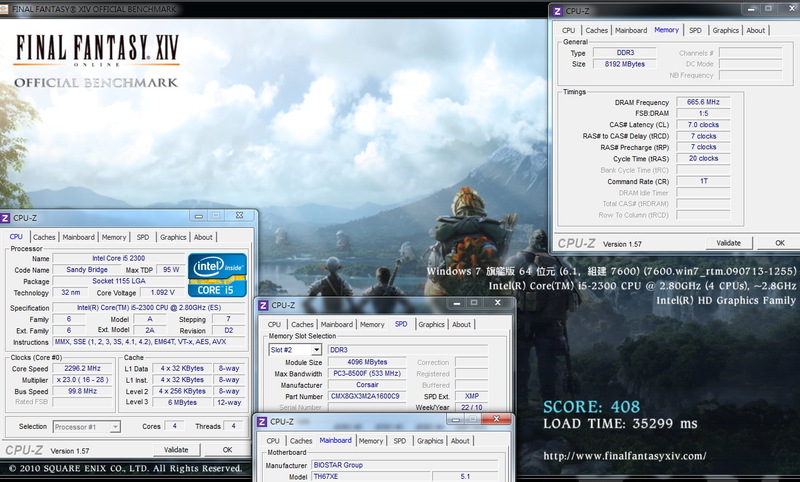 In terms of overclocking and multiplication, there are only 2500K/2600K integrated with P67 chipset that can realize a drastic overclocking. and the whole frequency after the external frequency’s change to 107MHz, will increase from 2.8 to almost 3GHz. 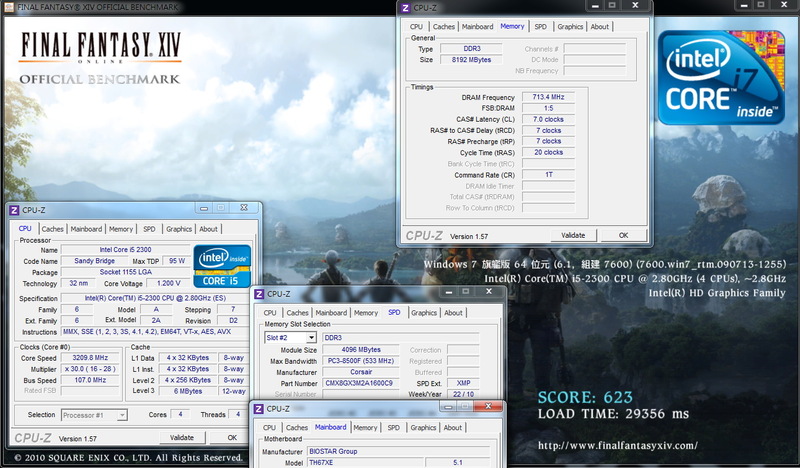 Since the overclocking is only about 7%, there is no big difference in the temperature. 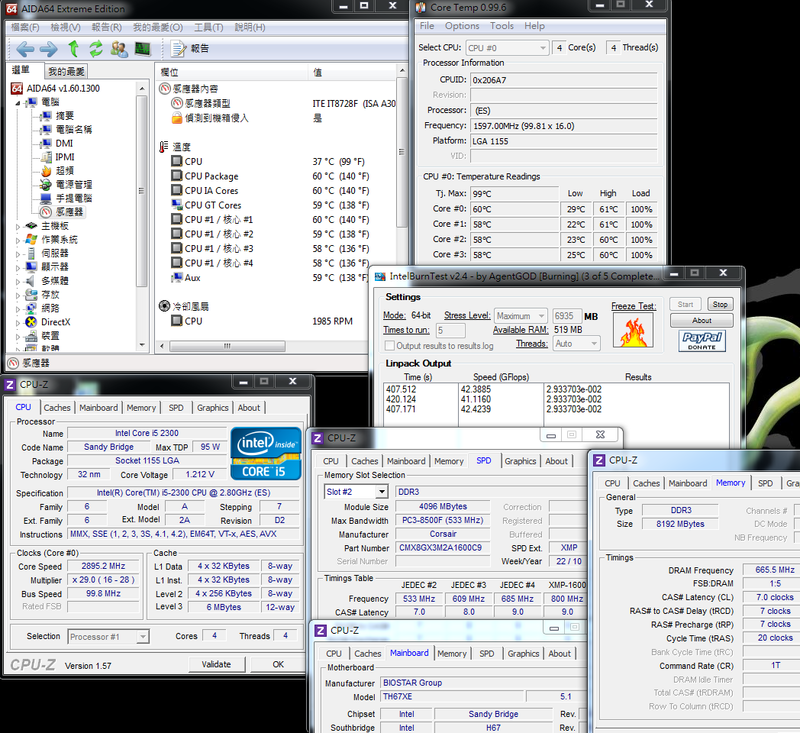 By comparing the default values, the temperature difference during system standby is about 3℃ and this is just about 4℃ at full speed of the CPU. 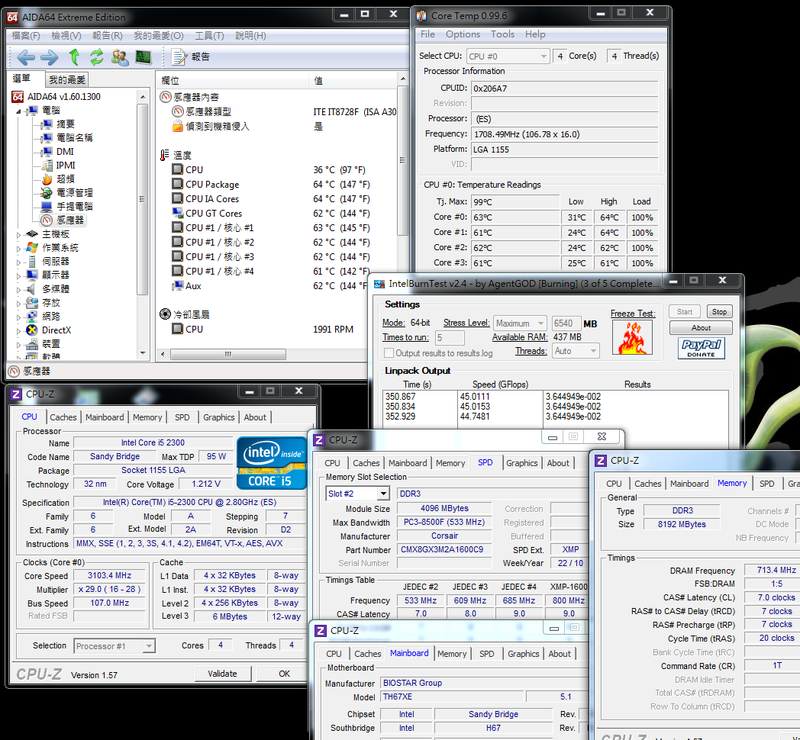 There is also a slight lag between the power consumption after overclocking and the default value. 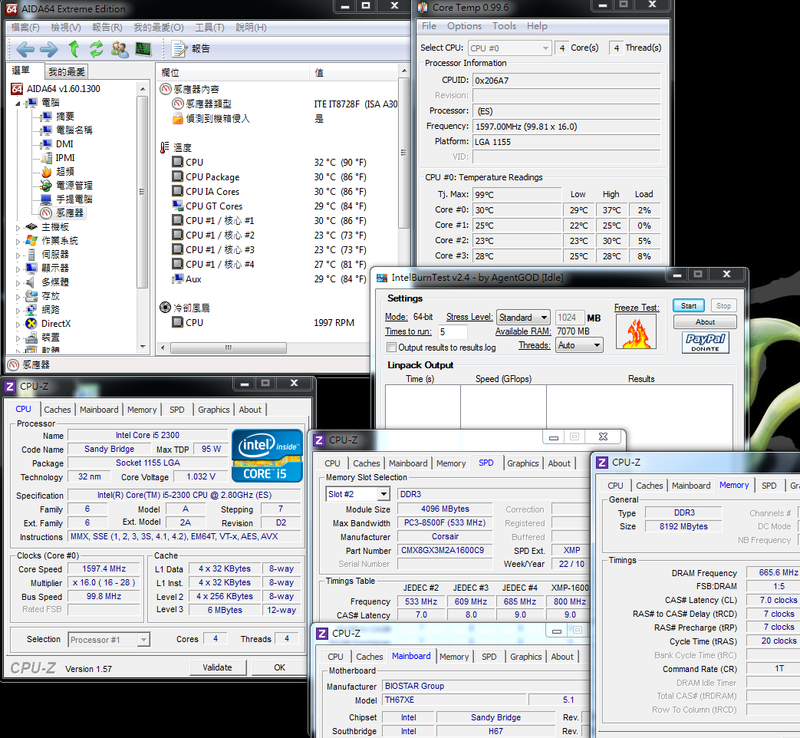 It can be known that CPU overclocking has little effect on the temperature and power consumption. 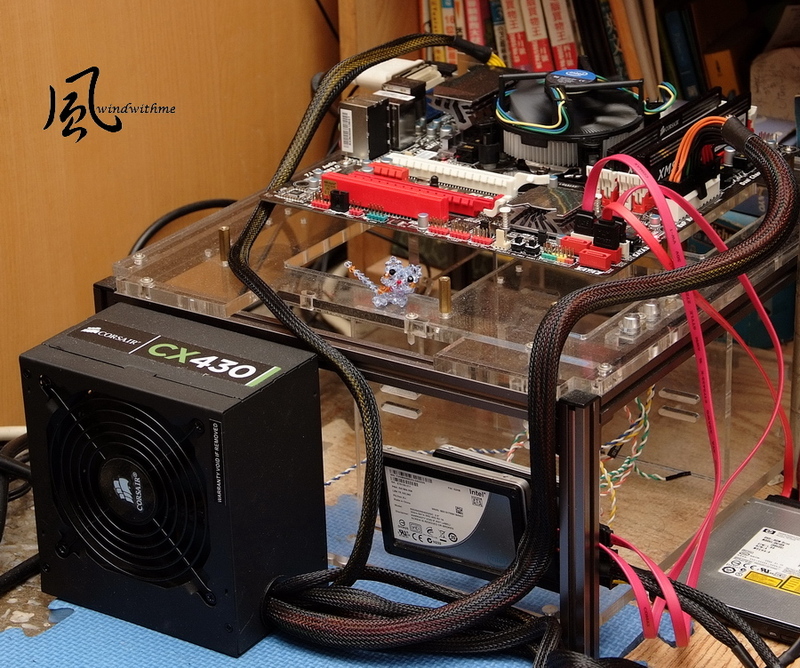 By comparing the built-in 2300K HD2000 GPU with the previously tested 2500K HD3000 GPU, there is a lag of about 30%~40% in its 3D performance. There is no big difference between the two in this aspect when compared in the Game. 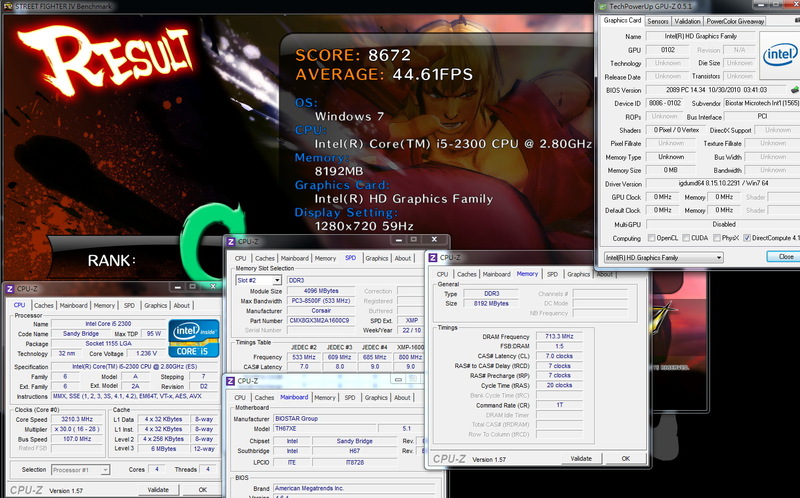 For example, the performances of 2300K HD2000 GPU and 2500K HD3000 GPU in StreetFighter IV are 30FPS and 40FPS, respectively. 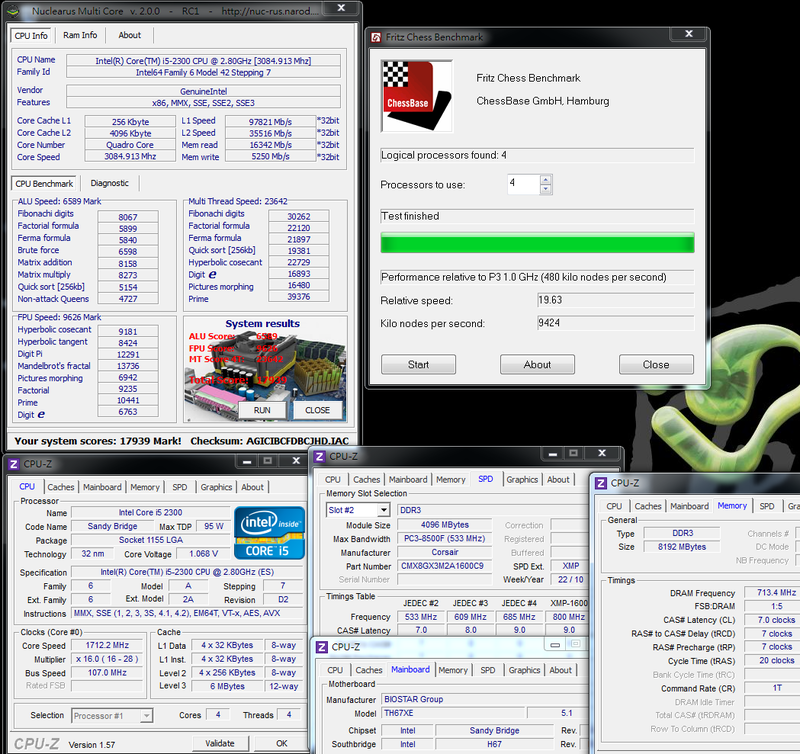 After the overclocking of HD2000, there is a performance increase of over 50% in the three kinds of Game Benchmark softwares mentioned above. 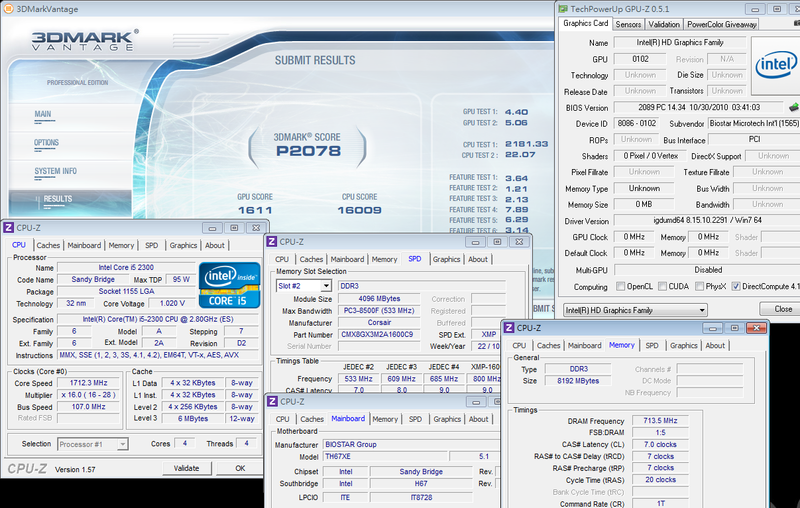 the preset performance is also 2~3 times higher than the last generation of i3-540 integrated with H55. but this also depends on how the competitor -- AMD respond with new chipsets in the future. 3. 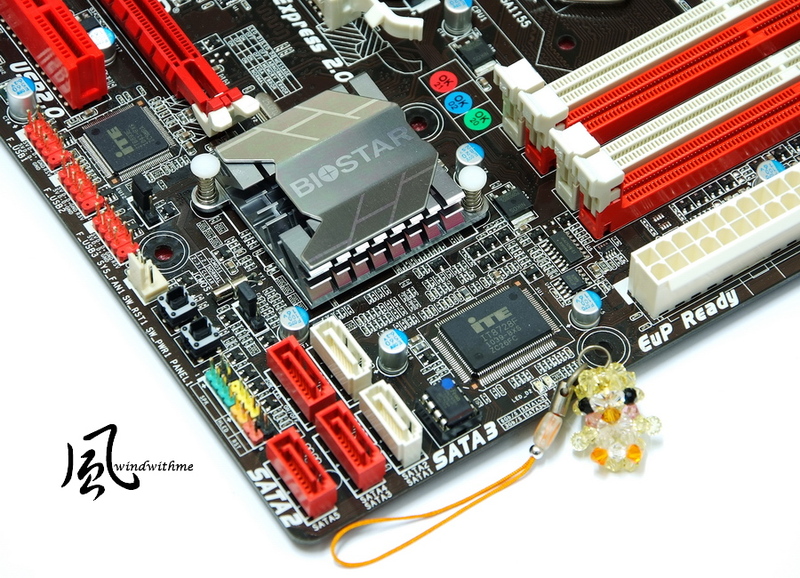 BIOS provides CPU external frequency/GPU frequency/DDR3 frequency setting, as well as diverse voltage options. 4. The Sandy Bridge platform has low temperature and low power consumption. 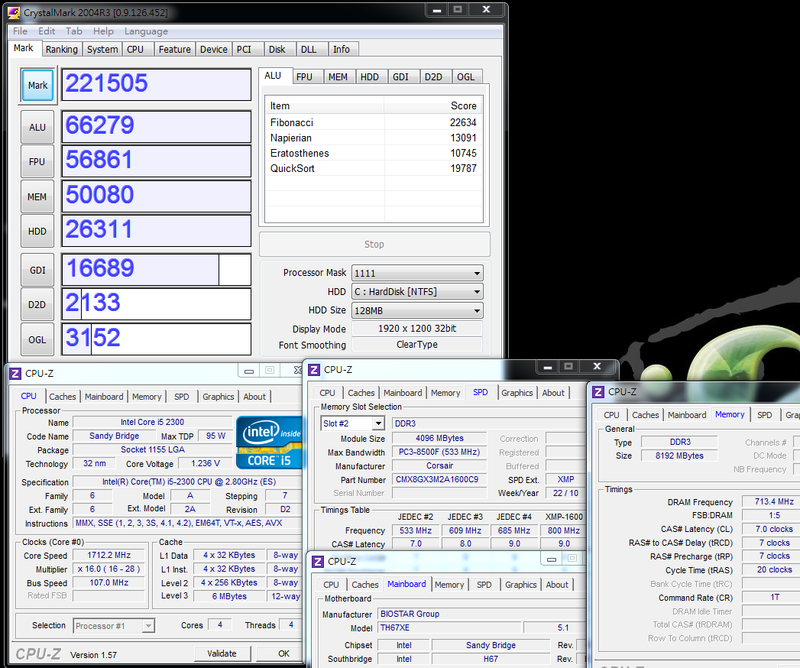 It also has more DDR3/GPU performance than the previous platform. 2. 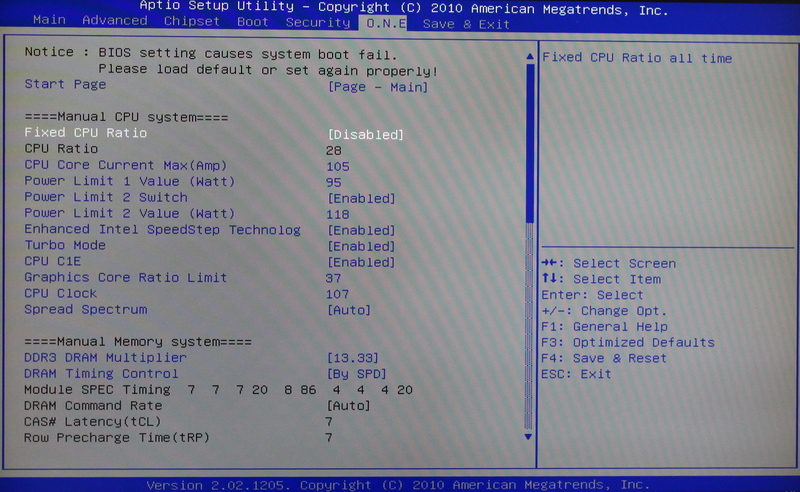 Segmental adjustment is required when adjusting the external frequency of the CPU from 100MHz to 107MHz. 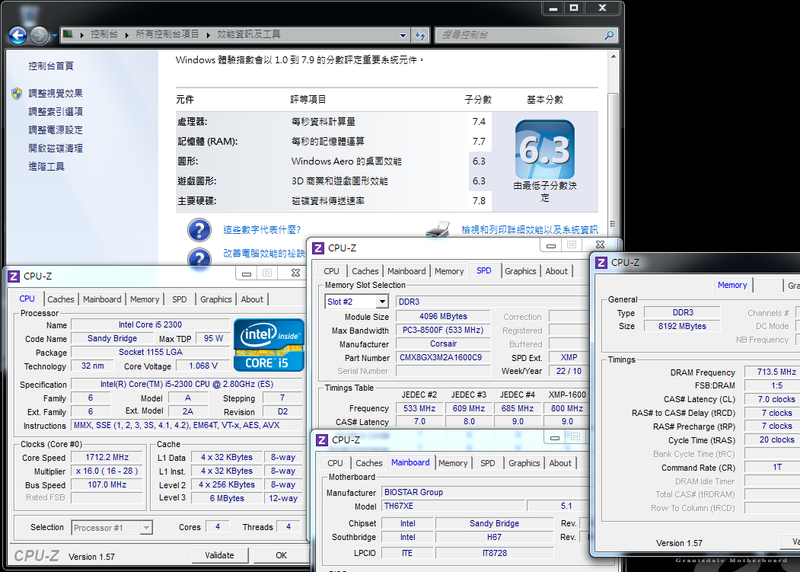 Intel Core i5-2300 is sold at about NT$5,600 in Taiwan, which is equivalent to around US$ 190. 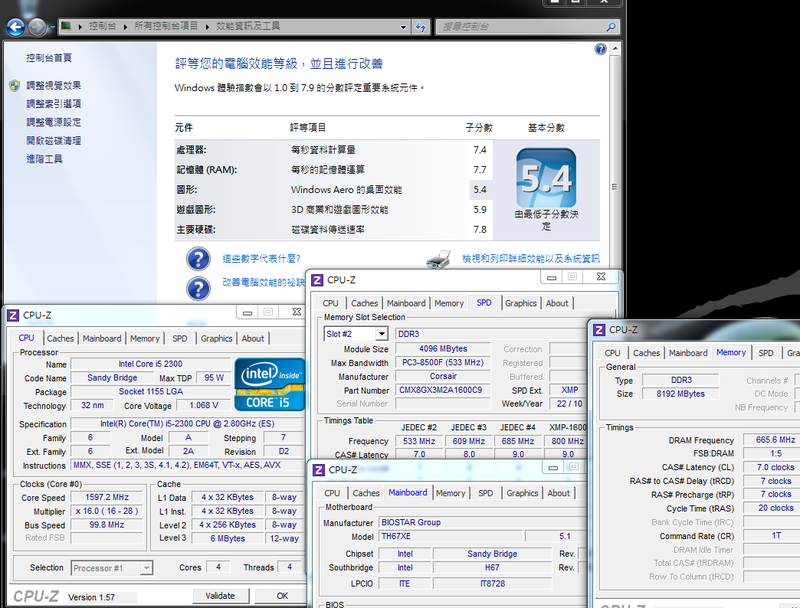 Core i5-2400 is about NT$5,750, which is equivalent to around US$195. There is a small price difference between these two CPUs. 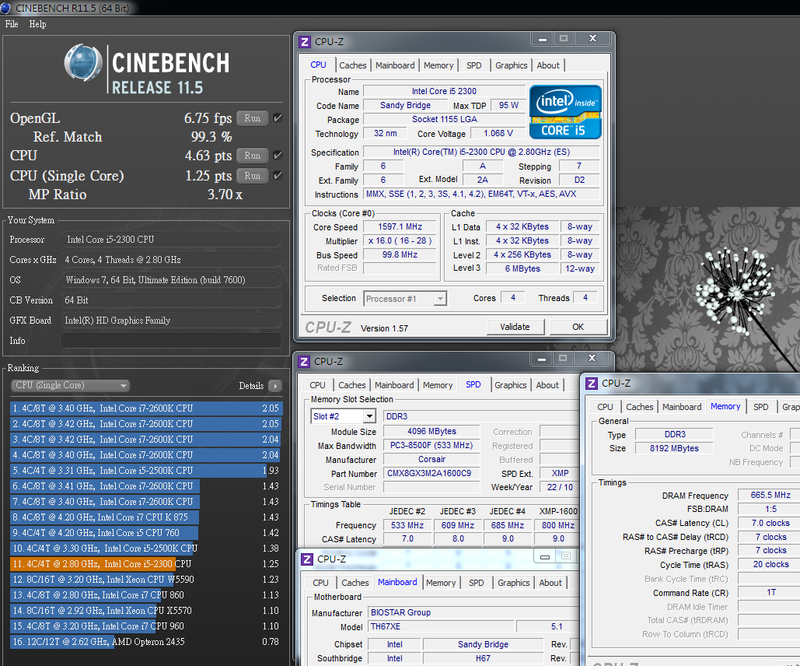 Specifically, i5-2300 has 2.8GHz and i5-2400 has 3.1GHz; the C/P of 2400 seems to be much higher. Unless there is a price reduction of 2300 in the future so as to create a price difference between the two, customers may opt for the 2400 CPU. 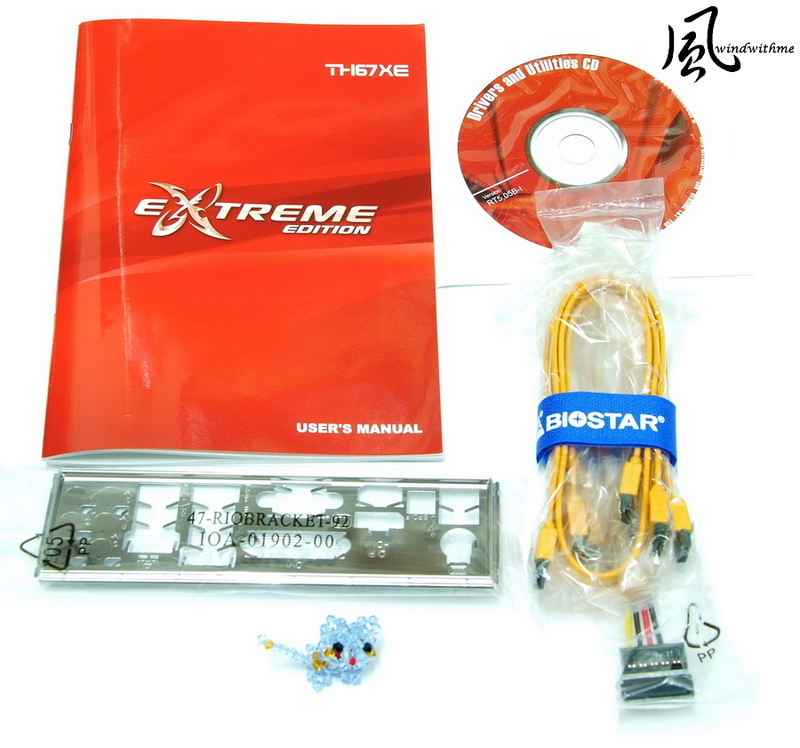 The tested TH67XE still has the advantages emphasized by BIOSTAR, which include effciency, overclocking and affordability. Moreover, its material and specification are much better than the low level H67, but its price is lower than the middle and high level H67 of other brands. 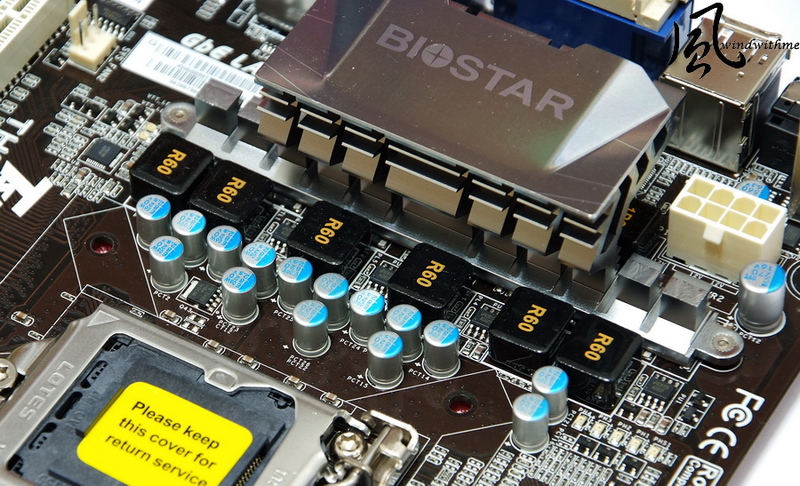 The C/P ratio of BIOSTAR is indeed attractive to consumers given its price. It also provides an overvalued choice for consumers with limited budget. 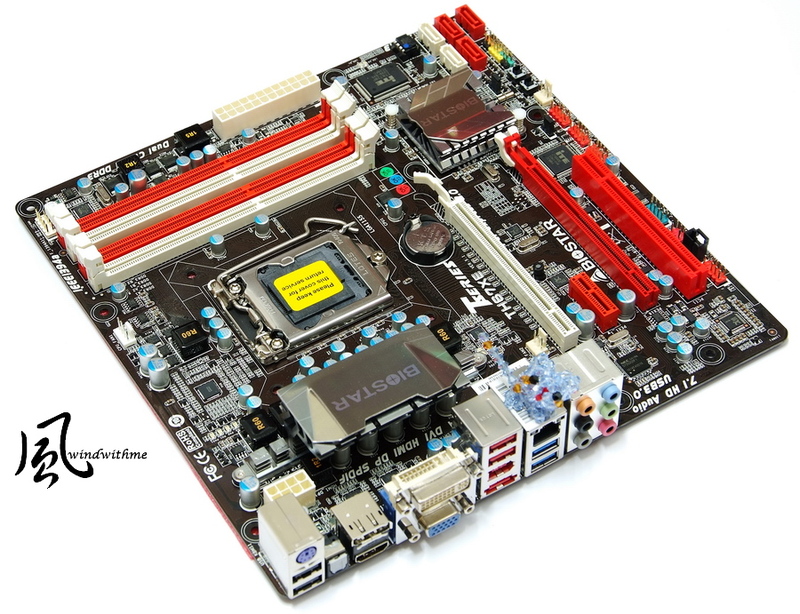 This article mainly shares information on the performance of i5-2300 integrated with H67, and its affordability in many aspects. 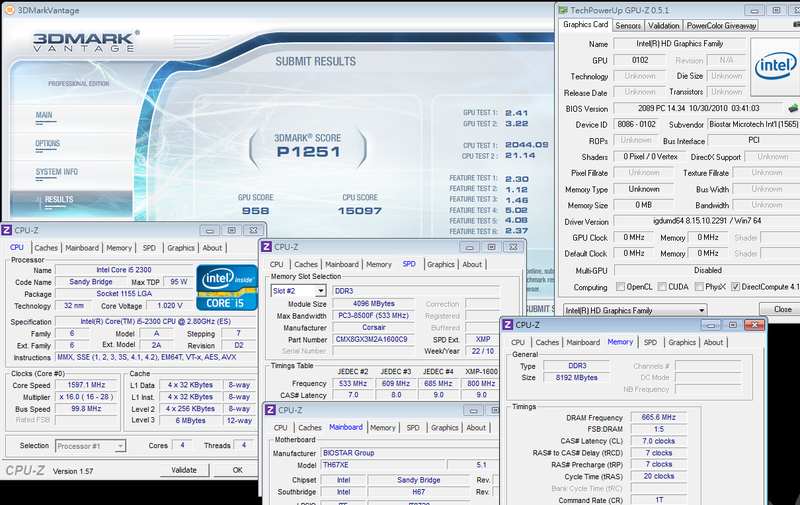 It also provides the HD2000 3D performance test. Welcome 3C lovers to visit and advise.